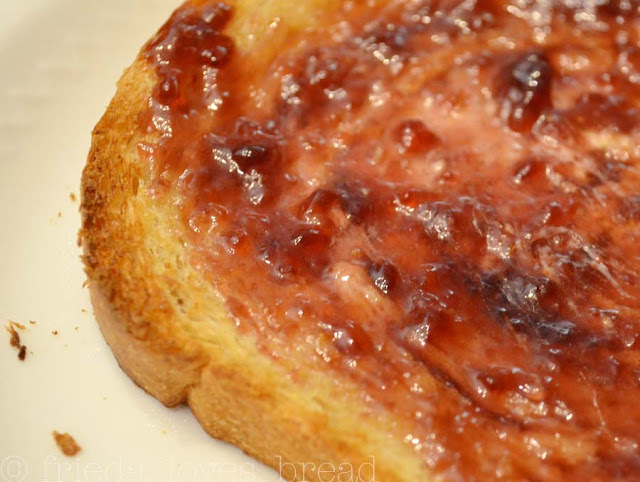 Frieda Loves Bread: Make Your Own Mixed Jelly! 1 Make Your Own Mixed Jelly! This jelly combination came quite by accident. My mom was making three different jellies: grape, plum and currant and had just a little bit of juice left over from each batch. She decided to combine all three and the result? Our family favorite jelly! This mix is sweet, with a mild sour undertone from the currants. I use a steam juicer to make juice for my jellies. It is very simple and easy to do. Then I bottle the juice to make jelly in the winter. I'm glad I had the juice on hand. This past spring, our plum tree didn't produce a single plum due to the frost and our currant bush suddenly died. 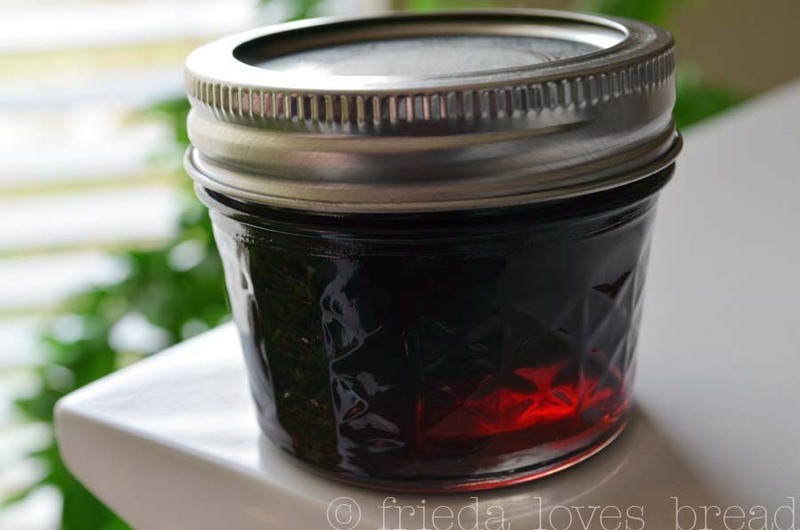 Making your own jelly is a great first time canning project. You don't need to make your own juice; you can purchase many different varieties of 100% juice ~ make sure it says 100% No Sugar Added on the label. Four- five cups of juice is all you need to make about 7 half pint jelly jars. 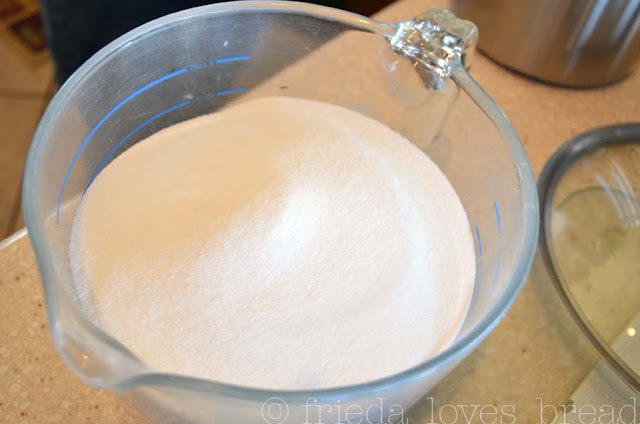 Combine juice and powdered pectin. You can choose from regular pectin or a low/no sugar pectin. Follow the directions for the jelly and use the amount of sugar indicated on the package. 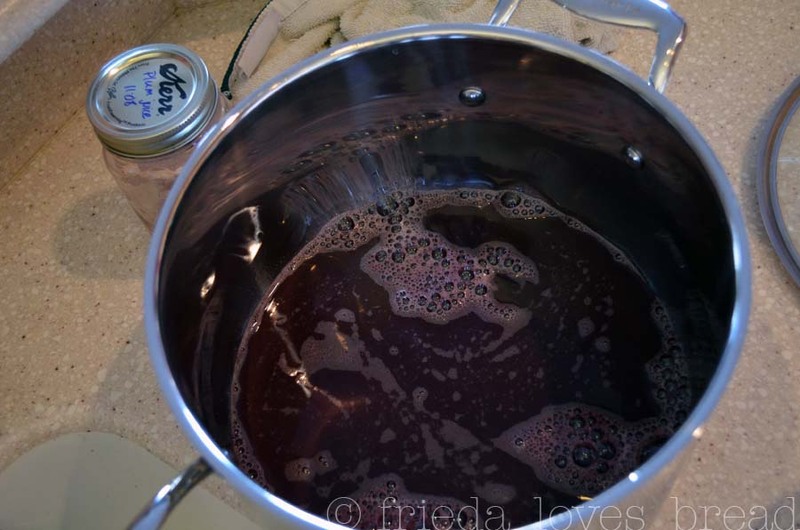 Bring juice and pectin to a boil over high heat, stirring frequently. Stir in sugar, stirring until dissolved. Return to a rolling boiling over high heat, stirring constantly, and boil for 1 minute. Do not boil any longer, or you will turn your jelly into a sucker-like substance. Remove from heat. Skim off the foam. You can save the foam and use it as a spread. Skimming the foam ensures that you will end up with a CLEAR jelly. Ladle jelly into HOT jars (keep hot in boiling water or in dishwasher), leaving 1/4" headspace. Wipe the rims with a clean, wet paper towel, put lid and screw rings on finger-tight. Since these are the cute 4 oz jars, (smaller than the half pint jars) I checked with my state extension agency and got the formula to water bath these jars for 15 min at a 5,000 altitude. There you have it. Why not make your own mixed berry jelly with any of your favorite juices?